Though no one can go back and make a brand new start, anyone can start from now and make a brand new ending. Let me explain. We got off to a rocky start at Greek Flame Taverna. Recently we attempted to go to Greek Flame Taverna for dinner. We arrived early or early for a Greek restaurant that is. We did not believe we would have a problem getting in but if we did, I assumed we would wait. I should have never assumed. We were greeted. We asked to sit inside the restaurant. Why? It was still very hot and humid out and we wanted to enjoy our meal in the right climate on a May nite in Florida. The hostess came back and said only outside seating was available. Pretty much period take it or leave it but she did not use those exact words. We decided to leave it. The hostess never said sorry. She never said well you could wait for an inside table but it might be 15/30/45/60 minutes or whatever. Her blank stare told us we needed to find another place to satisfy our appetite for the night. So we walked away and she did not bother trying to save us. I was not happy with the communication. But I believe in second chances and I really wanted to try this place. So we went back the following week to give Greek Flame another try. We requested again to sit inside. This was not an issue this time. After sitting down a few minutes our server noticed I was just slightly uncomfortable in my seat due to the folks sitting directly behind my chair. I hate playing bumper chairs in restaurants. Without even asking our server (can we move) she requested we move to a more spacious area. I knew at this point we were not in good hands but we were in great hands. We asked her some basic questions about the wine selections and before we could ask her another question about the wine she suggested she would bring out to us 3 samples (the ones we had questions about) for each of us to taste. Again, without even asking. This server was very proactive in giving great quality service. I told my wife she is so good at what she does she must be part of the ownership team? It turned out that her dad owned the place. This means she has skin in the game. We started with the Saganaki $8 aka Greek flaming cheese. The grilled kefalograviera cheese was finished with Ouzo and fresh squeezed lemon, the fire/flames and squeezed lemons are prepared table side. Very interesting presentation when they serve this dish. The cheese dish was good but it was a little chewy meaning you could not cut the cheese with a fork. Was expecting the fried cheese to be more tender. Before our entrees came out we both had the classic Greek Salad. How can you go into a Greek restaurant and not get the Greek salad? The Greek Salad came with typical chopped iceberg and romaine lettuce with tomatoes, cucumbers, onions, scallions, kalamata olives, Peperoncini and feta, served with “warm” homemade Greek dressing on the side. Just a very good classic Greek salad. Two thumbs up for sure. My wife had the Garides Sagnaki $18(broiled shrimp). 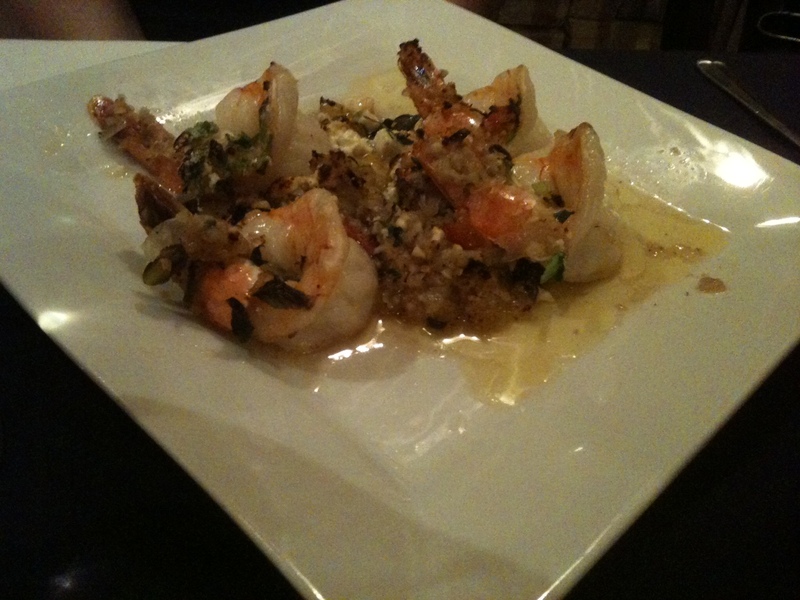 These large tiger shrimp were broiled with Greek herbs, tons of fresh garlic, garlic sauce and feta. I must say, it was a very good tasting Greek shrimp dish that was filled with flavor. I went with a very traditional Greek dish Mousaka $14 (which came with the Greek Salad). Mouska is known as a traditional comfort food dish in Greece. It’s kind of like what lasagna is to the Italians. The Mouska was served with layers of eggplant, potatoes, and Angus ground beef topped with béchamel sauce and parmesan cheese. It came out piping hot, fresh out of the oven just the way I like it. 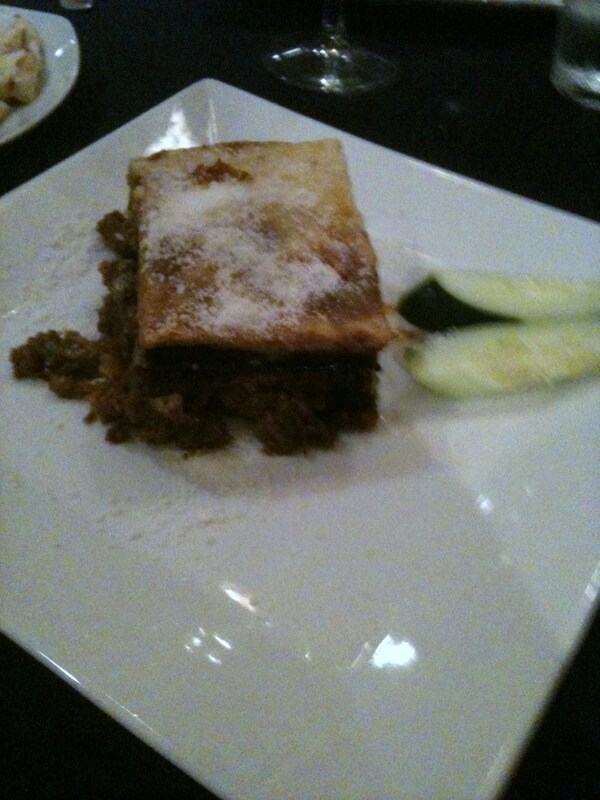 The flavors of the Mousaka were very blended and balanced perfectly. Is it the best Mousaka dish in town, don’t know, but it’s the best I have found, could not find a flaw. The daughter who served us is also the pastry chef. The homemade deserts looked awfully good but we just did not save room for desert. The service was excellent. Ask for the daughter, her husband also works there. Apparently this family business relocated from the East side of town where they were in an old Pizza Hut building for 10 years. It was a tough decision for them to move but I have a feeling they are glad they did. As I said in my opening sentence, everyone deserves a second chance, even restaurants at times. 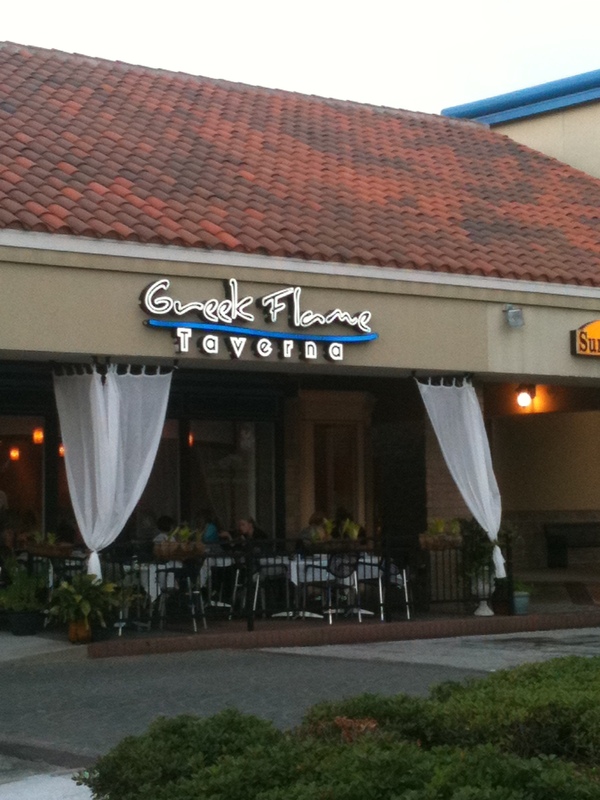 Greek Flame Taverna is located in the Dr. Phillips market place off of Sandlake Rd in South West Orlando. They offer outdoor seating and indoor seating. There is plenty of parking available. Greek Flame Taverna is open Monday-Saturday 11am till last table is served. Sunday 4:30-10pm. 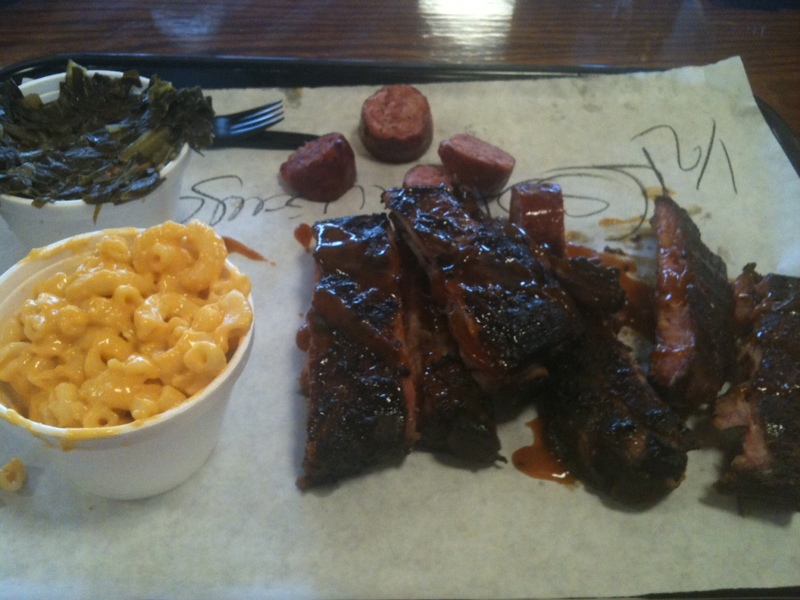 Where can you find great local BBQ in the city of Orlando? We only have a few good places in my opinion and I just recently wrote about Bubbalou’s which serves good CUE. But who has the best BBQ in town? According to the 2011 Dining Awards held at Dubsdread Golf Course on Sunday May 15th 4 Rivers is clearly the best in town according to the “readership” of Orlando Magazine. 4 Rivers received several awards. They won for best BBQ, Best Ribs, and Best Take Out. 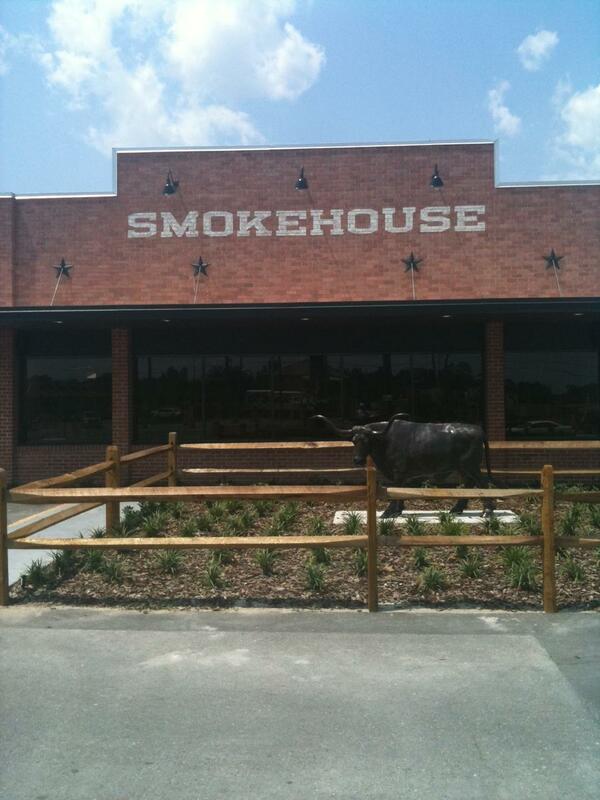 This tells me they are doing something right in the Smoke House Department. I could not wait to give their new restaurant a try. So we headed out to 4 Rivers in Winter Garden. It’s right off of West Colonial Dr/ W Highway 50. The building 4 Rivers occupies was a Chinese place that went under and before the Chinese place it was a Taco Tico that’s a name from the past. Unlike their other location in Winter Park, the Winter Garden location has a drive thru, but it’s only for orders called ahead, so beware. The other noticeable difference is their new location has indoor seating, which is a crowd pleaser. Plus they have a lot of room outside to eat compared to the Fairbanks location. So we get there an open the door to get in, and on this occasion this is where the end of line was, and it’s challenging to determine where the end of the line is. There is no organization or structure in their queue line. In the area by the door where you are waiting can be more congested then I4 during rush hour. Also in this congested area it gets even more tangled due to the soda machine being in this space by the doorway where people are waiting in line. I felt we were constantly dodging people that were taking their orders outside or inside and dodging people leaving and dodging folks getting their drinks or refills. It was just a very combobulated line. A simple queue line with ropes or something would do wonders. After waiting in the circus line, you get up to the person behind the counter and you place your order. Then you tell the next person what sides you want as you can see them from the counter area, and then you pay. You are supposed to receive your food when you pay, I will get to that interesting part. I had the half rack of St Louis Style Ribs $11.99 with 2 sides. Plus a side of smoked sausage for $2.00 extra. My wife had the bbq quesadilla $5.49. We paid for our order. I got my food and my wife was given a number to set on the table and they would bring out her BBQ quesadilla. After about 8- 10 minutes of waiting we finally asked the girl cleaning the tables to please check on the quesadillas because “it has been awhile”. To make a long story short, it took almost 17-18 min for her quesadillas to arrive and I was more then half way done eating my meal and I was eating super slowly. How long does it take to prepare quesadillas when the bbq meat is already done?? No where on the menu states extra time is needed for this dish to be prepared. We displayed our dissatisfaction with the same girl that brought out the order, however no one came out to apologize and no manager showed up. My smoked St Louis Style Ribs were very good. The ribs had a great Smokey flavor, they were charred up just right, and were very tender, falling off the bone as you would expect. I love 4 Rivers selection of fine southern style side items. I went with the greens and mac n cheese. My greens were good, but not great. Their collard greens are served chopped style. They season their greens with pork or bacon but they don’t use a ham hock and yes there is a difference in flavor. I also had the mac n cheese. It was good, and cheesy enough, could have been warmer in my opinion, but overall good tasting mac n cheese. I also had the smoked sausage that I added for a side. The smoke sausage was good in flavor but it did not seem fresh out of the smoker. It kind of tasted like it was sitting around for awhile. I have had it before at the Fairbanks location and remember it being very good that day. Well for my wife’s quesadillas that took almost a quarter of an hour to come out, were very good. The tortilla was grilled just right, and the bbq meat was very tender as expected. I also like the fact that the inside part of the restaurant has an ole classic western sink where you can clean your messy hands inside the restaurant without going to the restroom. Nice amenity in a BBQ place for sure. My BBQ ribs came with enough sauce to my liking but extra sauces are on the tables if needed. 4Rivers does a great job overall with its CUE. I can see why 4 Rivers stole the show at the Dining Awards for its BBQ. But when you wait in the unorganized queue line and have to wait almost 20 min for a dish that is a regular menu item, some things still need to be ironed out. Plenty of parking is available at this location unlike at Fairbanks in Winter Park. 4 Rivers is open 11-8 Mon-Thur and Friday & Saturday 11-9. Closed Sunday. Well the local guy was in the mood for some good fresh seafood so off we went to Big Fin Seafood Kitchen. Big Fin is located off the nearly world famous “Restaurant Row” in the Dellagio Town Center in the Dr. Phillips area about 3 miles away from Universal. It’s in a good location for them, because they get the convention business crowd (aka folks with expense accounts), the tourists and us locals. Big Fin is a large restaurant. Its 11,000 sq feet in size. I have never had a problem getting reservations or just walking in. Its family owned and operated. It’s a one of a kind restaurant in our local area. Big Fin has been open since Dec 2009. When you walk in they display their fresh seafood in a case, they are proud of their fresh seafood and they should be. Big Fin Seafood Kitchen has great atmosphere. They have indoor seating and outdoor seating. They have a nice upscale bar inside, and they also have a nice bar outside. After being seated we got off to a slow start. It took several I mean several minutes to get acknowledged. When the server finally showed up he did apologize for the wait, he stated he was chasing down the previous diners; apparently they left their sunglasses at the table and he was off tracking them down. He had a great excuse and we appreciated his honesty. I felt like we would be in good hands going forward. We next put in our drink order along with the appetizer. The server did not write down any of our order, when this occurs, I get nervous, there is about a 70-80% chance in my opinion the order will not be correct or something unusual happens during the dining experience when the server does not write down the order in my opinion. Let’s see what happens, shall we? I was so in the mood for oysters. 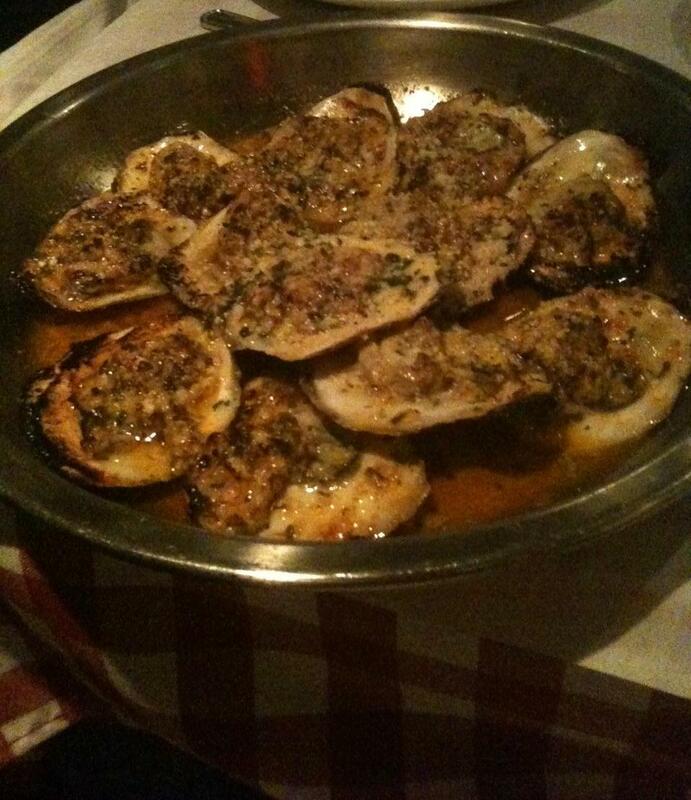 So I went with the Grilled Smoked Oysters (Dozen) $16.95. I don’t know too many places around that prepare oysters like this in Central Florida. The oysters came with hot fresh garlic and cooked with butter, topped with parmesan cheese and fresh parsley and with garlic and more garlic; I think they had at least 50 cloves of fresh garlic in this dish, but who’s counting, I am a big fan of garlic. Big Fin grills the oysters first then they broil/bake them to perfection, I loved the charred ness look of the oysters as well. These oysters were the perfect size, not too big but not small at all. This is one of my all time favorite appetizers. These oysters are shipped in from Connecticut. They better be for $16.95. Only place that does them better in my opinion is ACME Oyster Bar in NOLA. Only disappointed thing about my pricey appetizer experience was that my grilled oysters came out before my ice cold Stella Artois. Yes, we waited that long for drinks. How does that happen? I mentioned this to the server who brought the oysters out to me. Then I was told by our original server the bar was backed up. I guess someone had to get thrown under the bus, and so it was the bar team? When you are paying $16.95 for oysters and top dollar for a Stella (in the bottle) you would think someone could figure out how to make this uncomplicated food order process work. This just in, I got an idea, “write down the order”. For my entrée, I ordered the salmon $24.95. This entrée came with 2 sides. I had my salmon prepared blackened. You can also get your fish broiled, grilled, or steamed. The salmon was cooked properly to my liking. I don’t like my salmon med rare. I like my salmon cooked through and I like the option to get it blackened. Big Fin did not disappoint on the blackened salmon. My sides were garlic mashed potatoes and fresh spinach. The garlic mashed potatoes were good. However, I am always surprised that many restaurants serve their mashed potatoes plain. When I was growing up my family served a lot of potatoes and white rice with the main course. 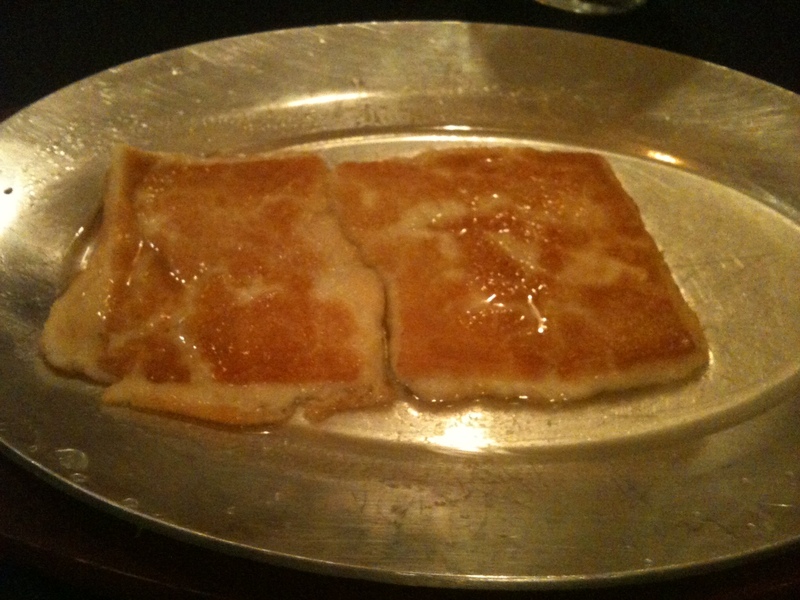 Some sort of scratch gravy was always on the table that accompanied the mashed potatoes and or rice. Having these sides plain was not an option at our dinner table. My other side that I ordered was the fresh spinach with fresh slices of garlic cloves. The spinach was cooked just right and the fresh slices of garlic gave it the right balance of flavor. I asked them to substitute for my spinach. My wife ordered the (6oz) lobster tail $26.95. The lobster tail was broiled and served with drawn butter. The lobster was good as expected, hard to mess up lobster. My wife had the green beans and sticky rice for her sides. She stated the green beans were pretty much flavorless. Well, I must agree. She liked the sticky rice but again, how do you serve white sticky rice plain with no sauce or gravy on it? Please don’t get me started again on my opinion of serving plain rice or mashed potatoes gravy less or sauce less I don’t get it but I understand a lot of people do like these 2 dishes plain, but to each his own I guess. At the end of the day Big Fin serves good fresh seafood and most of the fish is imported from all over the globe. The service was good overall except for a couple of over sights. The ambience is good. The menu is extensive, with lots of food choices. But I don’t find Big Fin to be a great value. I remember the days Big Fin was a good value but things have changed. However, on Mondays they run a special on lobster where you can get a whole steamed Maine lobster for $13.95, you can’t wrong with that. Plenty of parking is available. The Dellagio complex has outside parking, plus it has a parking garage that is below the complex and they also offer free valet. I chose the free valet service on this night (being lazy). Big Fin Seafood Kitchen is open Sunday –Thursday 5-10pm and the bar is open til 10:30, and Friday & Saturday 5-11:00pm and the bar is open til 11:30. Well the local guy was in the mood for some BBQ for lunch. My first choice would have been 4 Rivers BBQ off of Fairbanks. But I had visitors with me from out of town and we did not want to blow our lunch waiting in line for 30 min and then have to eat their great BBQ outside in 90 degree weather, which would have felt like 98 degrees with my tie on. Been to that rodeo before. So off we went to Bubbalou’s Bodacious BAR-B-QUE. Bubbalou’s has been around for over 20 years. 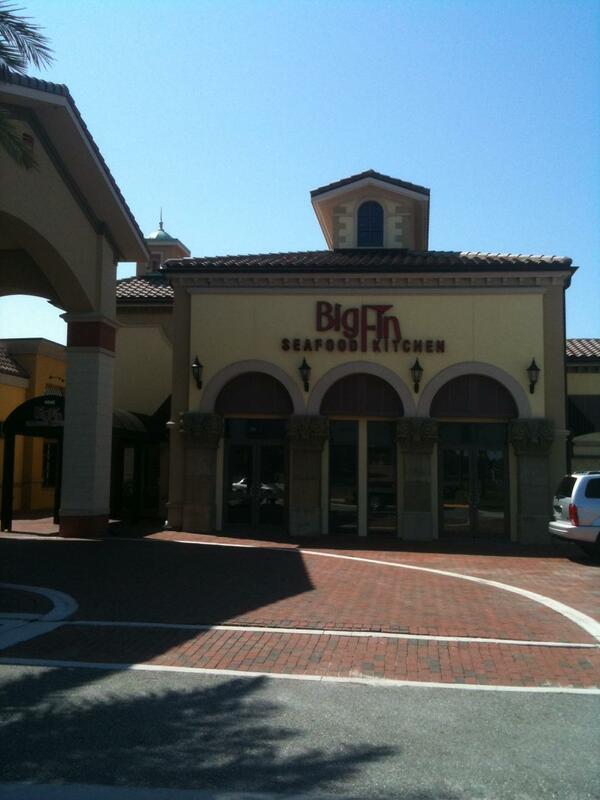 Bubbalou’s is locally owned by Sam Meiner, his family has been catering in Orlando since 1907. 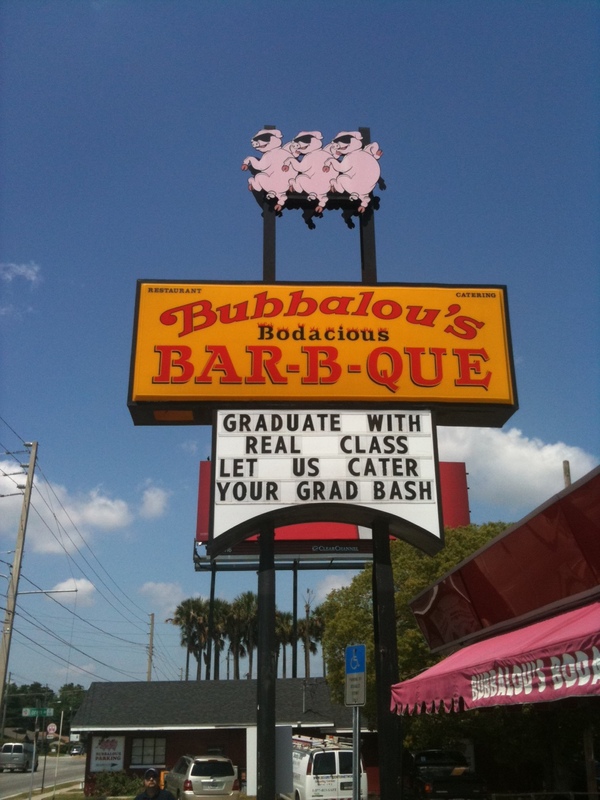 Bubbalous’s has several locations around the Orlando area. However, I wanted to go where this BBQ concept started out. So we went to the original Bubbalou’s location on Lee Road in Winter Park. This is a typical BBQ joint. You walk in, place your order at the counter, they give you your drink, and then the staff brings out your food about 5-10 min later. I must say we did not wait too long at all for our food after our orders were placed and it was extremely busy. So service was prompt and efficient this day at lunch. I ordered the Smoked Turkey sandwich basket $7.79 with sweet tea. The turkey is served on garlic toast like most of their sandwiches, however you can ask for a bun instead depending on your preference. The sandwich basket comes with 2 sides’ baked beans and French fries. I was not in a baked beans state of mind so I substituted the beans for collard greens. I also ordered a side of black eyed peas $2.29. The smoked turkey was real tender, and it was a meaty sandwich meaning they gave you plenty of turkey. I like my smoked turkey more” smokey” in flavor but overall it was still a good bbq sandwich. I like the fact they have plenty of accessible sauces to choose from already on the table, like mild, hot, killer, mustard sauce, and ketchup, and they even have pepper type vinegar sauce for your collards, nice selection (good concept on having all the sauces at the table). My favorite side was the collard greens. They reminded me of how my grandmother used to make collards. Bubbalous’s collards was seasoned with a ham hock. This old southern style cooking method Bubbalou’s uses is what makes their collards so special, very impressed. Some restaurants use nothing on their collards just salt& pepper (bad recipe) some use bacon (a short cut), some use turkey parts like turkey necks to season collards(not bad and healthier), but good ole collard greens are made with a real ham hock ladies and gentlemen. I also added the pepper sauce to my collards for an additional kick, what can I say, I am from the south. 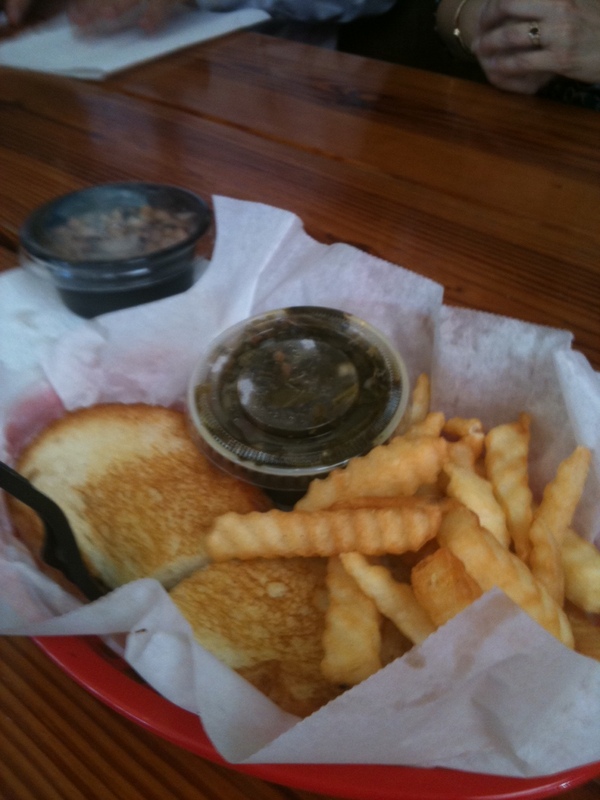 My sandwich basket came with French fries, they were hot and tasty, no complaints, good fried taters. I also ordered the black eyed peas. The black eyed peas were tender and seasoned properly, again it’s all about the ham hock folks. One of my guests ordered the fried okra. I was very disappointed is this southern side favorite. It was fried up well but it had ZERO flavor, extremely bland. Don’t understand how do you have great collards, and great black eyed peas and awful fried okra? It did not appear that salt or pepper or other spices were used before or after the okra was fried, disappointing. I had the sweet tea to drink, there is just something right about sweet tea and BBQ, that is a match made in heaven. So is Bubbalous’s the best BBQ in Orlando, probably not as good as 4 Rivers but overall good Cue and the lines are not as long. Diners can eat inside or outside at Bubbalou’s. Parking can be tricky at the Lee Rd location. The do have additional parking across the street. Bubbalou’s is open daily for lunch and dinner.